So, I’ve been catching up on dental work from the past few years. Bad experiences with several dentists kept me away for a good 3 years while a giant hole grew in one of my teeth. My meds make my teeth decay faster so it wasn’t a great combination, seeing as I was averse to brushing my teeth. However, thanks to the springboard motivation from BrainPaint, I am now brushing my teeth rather regularly and seeing the dentist to fix the damage. I wanted to share my awesome dental insurance and great dentist. (see below) Since I need a lot of work done I wanted to find a policy that covered everything I need and was affordable. I settled on Blue Shield Individual Dental HMO. It’s great. I can apply online as an individual and it only costs me $19.80 a month. There is no deductible, no waiting period (except for braces), and no annual maximum. I do have to choose a dentist on their network but I found a great one so I’m stoked. 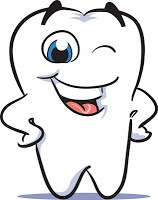 The dentist I love is Dr. Pham at Bright Now Dental in Rancho San Diego. He and his staff are kind and gentle and down to earth. He told me what I needed to have fixed without scolding me for letting my teeth go. The hygeinist, Lydia, is awesome. She did scaling and root planing for me also without ever patronizing me for why my teeth needed it. I feel welcome there and they don’t try to push anything on me or convince me to do something I don’t want to. Kathlene, the office manager, is great too. She laid out the price list for the services I need and let me choose in my own time what I’m ready for and offered to help me get Care Credit if I needed it to pay my insurance copays. So far I’ve had a root canal, scaling and planing, and a temporary crown placed with no pain. The only thing that bothered me was a filling that they smoothed out for me. They often have same or next day appointments available. I really like it there. I’m proud of myself for taking care of my teeth again. I don’t want to lose them. And I’m so thankful to have found this insurance and a dental office that I love, that gets me. I still get anxious going there sometimes and take a Xanax, but I feel safe. I know I will be okay. To apply, go here for a quote. Click on the “Dental Plans” tab. The quote page will allow you to apply online. If you don’t want insurance but want to see the dentist anyway, he has a new patient special – cleaning, exam and x-rays for $29. Just print the coupon.